Los Angeles, CA – “Properly fitted junior clubs are essential to making young golfers’ first experience with the game a success,” answered long time industry veteran and TGA Junior Golf franchise owner Ross Kvinge when I asked him why kids might need junior clubs as opposed to standard length golf clubs. My son’s interest in the game of golf started in his early years. Simply put, he’d pick up just about anything in stick form and start swinging it. Add a ball and it just makes the exercise more interesting. Thus began his love affair with golf, though he also likes playing baseball. Kvinge’s description has definitely been my experience. I’d let my son poke around with old wedges from time to time, but he always seemed to have more fun with the clubs that were more his size (including his little kids play set). When I felt he was finally old enough to go out onto the course he was using an Accu-length junior set. The Accu-length clubs seemed to work fine though they were only adjustable once and I’d already done that years ago in trying to get my daughters interested in golf. In other words, even those clubs were too big. As my son grew into the clubs I noticed he had a real nice, natural swing. But it only took a couple seasons for him to outgrow even the modified Accu-length clubs. Something new and better was needed if he was really going to go out and play on the course. In comes TGA. 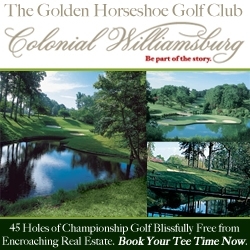 The website says the company is one of the “leading industry models bringing new players into the game.” Its franchise model empowers entrepreneurs, PGA Professionals, PGA Sections and Golf Management Companies to activate youth (ages 3-13) and their parents (ages 25-45) through introductory programs at elementary and middle schools, childcare centers and community centers. The TGA set we got has five clubs, including a rather large headed (for a kid) 15 degree driver, a 25 degree hybrid club, a 7-iron, pitching wedge and a putter. As for why there are “only” five clubs, Kvinge explained, “Through the TGA Premier Junior Golf enrichment program we strive to grow the game of golf and introduce juniors to the game of golf. We focus on putting, chipping, ½ swing, ¾ swing and full swing. I’m glad Kvinge mentioned “affordable price” because it’s a factor these days when budgets are strained more than ever. Having been out on the course a few times with my son I agree five clubs are sufficient at his age (9 years old). Of course it’s the driver off the tee, the hybrid for fairway shots of any appreciable length (gets used a lot), the 7-iron for shorter fairway shots and the pitching wedge to chip with. 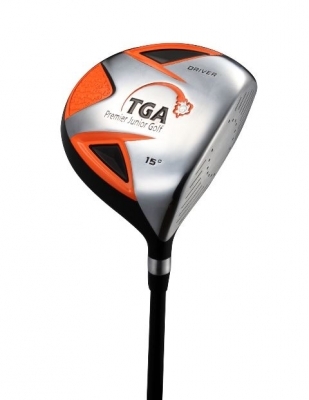 Kvinge says the TGA junior equipment is not necessarily just for learning, either – it can handle any level of play. Once a player develops gaps in distance, it means they’re ready to add clubs to the set. I can easily see where if the junior player plays a lot that he or she would probably need more of the shorter clubs to refine the distances. Though I would imagine only a certain level of junior would truly need them right off. I was also interested to see how so-called junior clubs would be different than standard adult clubs, whether it’s in the materials or just the design. 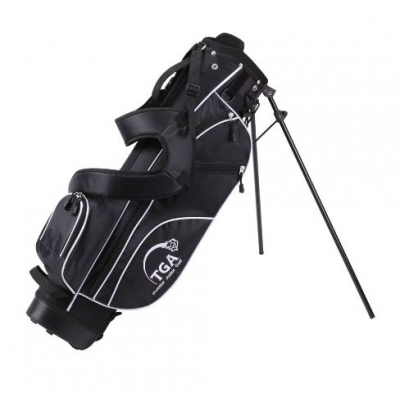 Specifically, TGA Premier Junior Golf boxed sets are offered in seven color-coded sizes based on height (my son’s is a blue bag for boys 4’4” to 5’ tall) with right and left handed options for both boys and girls making it convenient and affordable for parents to fit their junior golfer. As I mentioned earlier, the driver head is big – a lot bigger than our earlier junior set. As would be expected, my son loves to hit tee shots with the big club, and seeing as he’s already been hitting the smaller headed version for a couple seasons, he’s pretty good with the big stick. It will take some time for him to get the finesse shots down, however. And putting on real greens isn’t like what it is on a miniature golf course. One of the things that makes golf great is its many different elements and constant challenge. 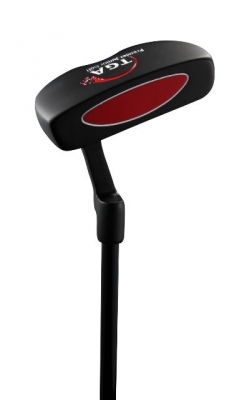 I can’t help but think products like the TGA Junior Clubs will allow young players to literally grow into the sport, have some success and look at it as something they can do outdoors as opposed to just sitting around with an Ipad in their hands. As a final note, Kvinge says there is a market for junior golf accessories as well as clubs. The company currently offers caps and gloves and is looking at adding junior push carts. Apparel is available through some of their partners. There are also some junior friendly golf balls, which I didn’t know before. I’ve found that any lower compression ball works great for my son and I can’t believe how high he can hit it. No doubt about it, he’s hooked. 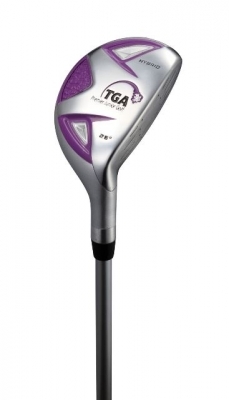 In a day and age when the game of golf is struggling to attract new players, manufacturers like TGA will help young folks get their own clubs and learn to play at their own pace and level. If you have a kid who loves swinging things like my son does, I highly recommend you try them. Yellow for boys/girls under 3’, Orange for 3’-3’8, Red and Pink for 3’8-4’4, Blue and Lavender 4’4-5’ and Black for 5’-5’6. Sets will range from $89.99 - $149.99 depending on size and include 3-6 clubs, a stand bag, and head-covers. 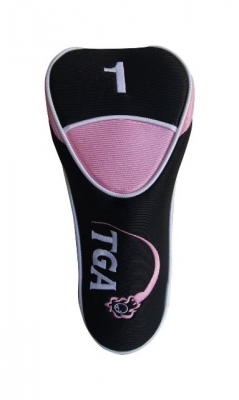 A percentage of each purchase will be donated to the TGA Sports Foundation. TGA’s curriculum focuses on instilling a passion and skills development of golf while incorporating character development, STEM core academics, and physical activity. Introductory programs feed into recreational programs at golf courses that include camps and leagues. TGA has taught over 500,000 juniors while making the sport available to 1.5 million families nationwide.